We have finished shortlisting for the long-term volunteering post. If someone is interested in applying for next year's position then keep an eye on our blog and homepage. We usually advertise in December. 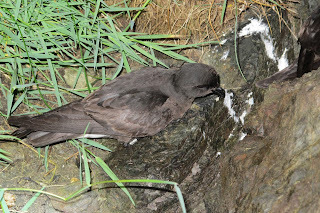 Matt Wood from the University of Gloucestershire visited us recently to do some ringing of breeding adult storm petrels. With help from the wardens and volunteers, 30 storm petrels were encountered during ringing at Tom's House: 14 unringed birds were given shiny new rings, 15 birds were found already with rings including three not seen since Dave Boyle and Rich Brown started ringing there in 2006. The last was a control - a bird not seen before on Skomer that has been ringed by someone elsewhere - we'll find out where soon from the British Trust for Ornithology. A short spell at North Haven yielded four new birds, and found one ringed at Wooltack Point that's at least 14 years old. 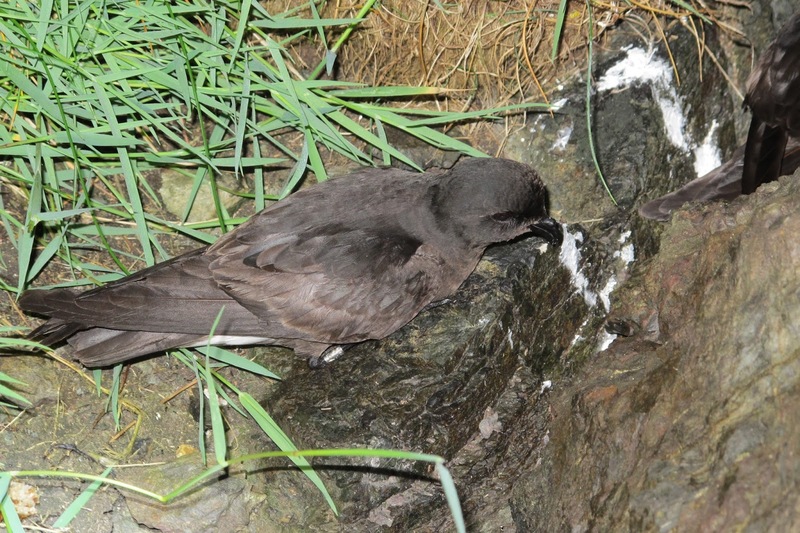 This work is best done at this time of year, when storm petrels have hatched their eggs and are not put off visiting their chicks if they're trapped, ringed and released. It builds on the hard work of ringers like Dave, Rich and others including Rob Thomas from Cardiff University, with the aim of monitoring the adult survival rates of these amazing ocean wanderers. Last week was a week of goodbyes, leaving parties and cakes as Lewis, James, Dave and Jenni left us. Lewis was our field assistant this season, he spent all day every day staring through a telescope at various seabirds (see a day in the life of a skomer field assistant), he did a fantastic job and the results will be available soon. He was an important part of the Skomer team and a lovely housemate! James our long term volunteer helped us out with all sorts of things throughout the season while also collecting data on moths for his dissertation (see let the moth trapping commence) We really appreciate all his help and couldn't have managed without him, we got him his very own moth trap so he can keep up the good work on the mainland! Dave has just finished his 10th year working as a researcher on Skomer, his contribution to the island has been immeasurable, it's been a privilege to work with him and there are an awful lot of people who will miss him. We wish him the best of luck with his next adventure to eradicate rats from St Agnes in the Scillies. 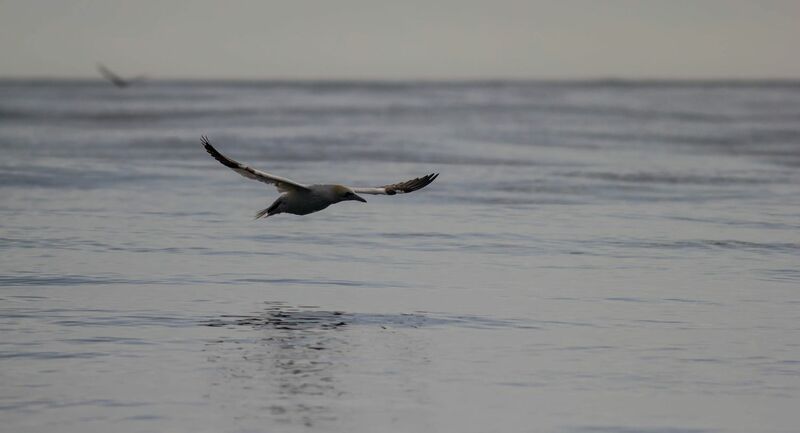 While Jenni who was assisting with Oxford university's work tracking shearwaters and puffins is now off to work on penguins in South Africa, we're very jealous! 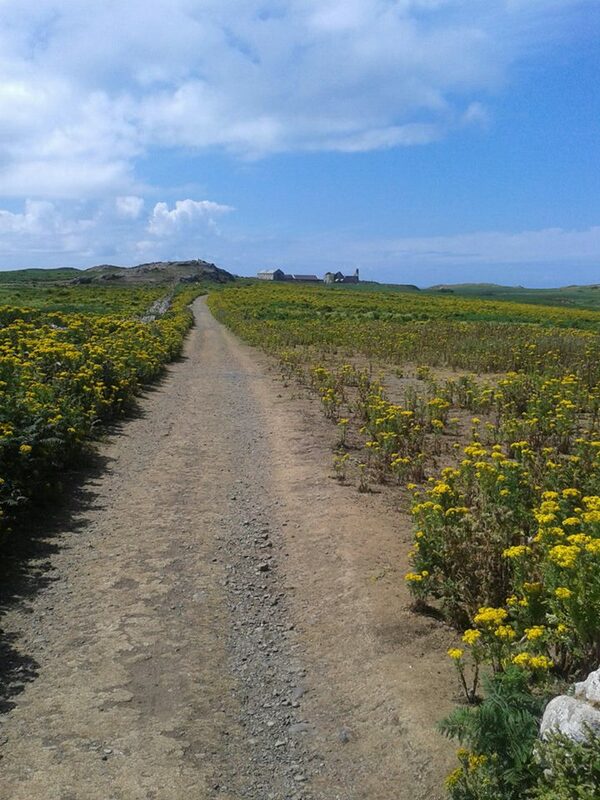 It's starting to feel autumnal on Skomer. The puffins and razorbills are all gone and there are only a handful of guillemots left on the Wick. The last of the swallows around the farm buildings are fledging, which means no more cleaning up swallow poo in the compost loos (thank you volunteers!!). Even the vast swathes of ragwort are starting to lose their bright yellow colour. Good for the cinnabar caterpillars! However with the autumn comes more wildlife. The seals are starting to gather on the low tide rocks in north haven and the garland stone and big bull seals are hanging around the pupping beaches. We're expecting our first seal pups any day now. Migrants are starting to drop in; with spotted flycatchers and robins in the garden, willow warblers and chiffchaffs in the valleys and flocks of juvenile starling making a racket out on the west coast. Yesterday we spotted two pods of common dolphin just off the coast of Skomer, one pod of about 20 animals came right past north haven. The mackerel were very late this year but they have finally appeared so the boatmen are happy and have been kindly supplying staff and volunteers with fish over the last week. Making nature fun and exciting for kids as well as offering them life improving learning opportunities is what Lucy and Chris are offering through their new book, Lucky Island. Please take a look at their website and help support their important and exciting book project, and get your kids involved! This week the Island Folk got a bit of a treat, we were all taken out by the nice people at Dale Sailing for a trip to The Smalls and back. An amazing boat ride on two RIBs that gets you out on the water, close up with thousands of seabirds and lets you take a look at the island of Grassholm as well as the rocks and lighthouse beyond. 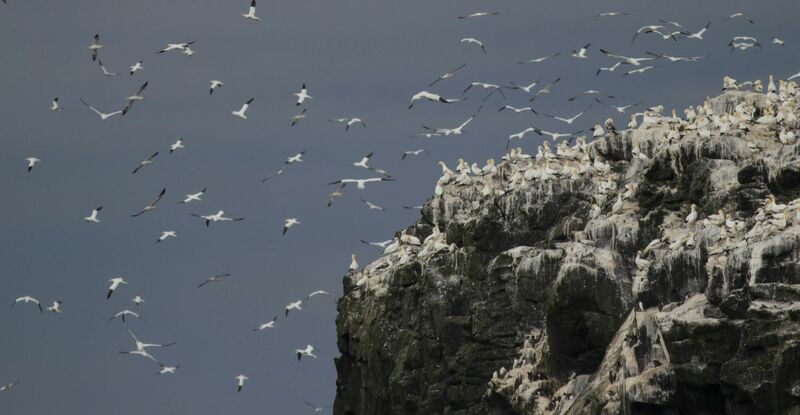 Grassholm is quite literally covered in Gannets- their white feathers and white waste products painting a big chunk of the small island white. However, when you look at the island more closely you notice that the ground is not white at all. It is mainly orange and blue. Male birds - when looking for nest materials - will collect synthetic rope, plastic, discarded fishing nets and mono-filament fishing line as they resemble seaweed. Unfortunately this type of recycling has its drawbacks: The birds get entangeled in the rubbish and, as it does not rot, they are doomed. 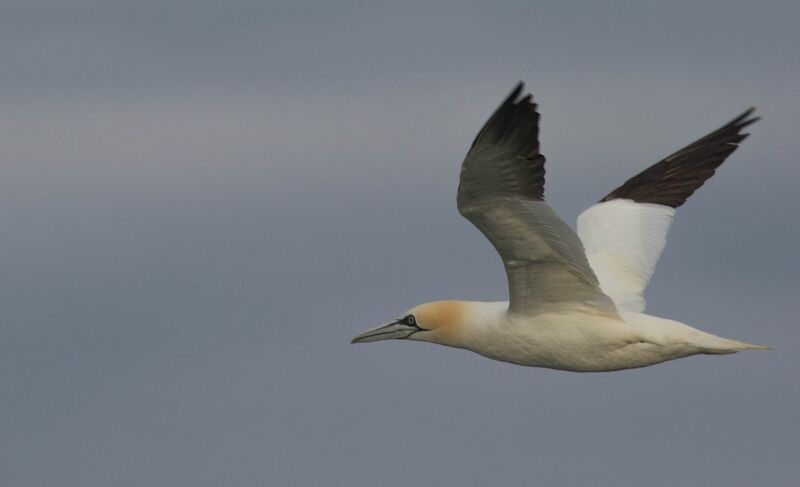 Read more about Grassholm and how researchers are fighting to combat an issue that affects the third largest Gannet population in the Atlantic - plastic. Shags also breed on the island and look inquisitively at any visitor with their vivid green eyes. We were lucky to have a nice calm evening with not too many big waves, and some sunshine to boot so that we got some nice views of the local wildlife. Apart from the birds we saw several porpoise and a common dolphin or two and the rare sight of people on Grassholm. You are not allowed to land on this RSPB owned island, but we were passing whilst some researchers were carrying out their fieldwork on the breeding Gannet population. The highlight for me was getting close to the Manx Shearwaters in their element. Although you can see thousands of these birds coming into land on Skomer every night for much of the season, their clumsy manoeuvres and waddling walk make them look a bit inept at times. It is only when you see them effortlessly gliding over the waves and outpacing our powerful boats without even beating a wing that you appreciate how amazingly adapted they are to a life on the waves. And when we finally dragged our heels back home, Skomer was surrounded by clouds of our Puffin pals. These birds are now starting to think about leaving for winter, but before they do they gather in huge numbers on the sea, on land and in the air. These gatherings fill the sky with whirling clouds of birds, a sight that reminds you how many birds call Skomer their home too! On land the very last Puffins chicks are being fed but most Puffins have finished their breeding business by now and it is only a matter of time when we have to say "good bye" to the last one of them - till next year.